L-birds: the story of "Liaison" aircraft and crews | Telling stories of "Liaison" aircraft and those who flew them in war and peace. Welcome to the “Liaison” story at Lbirds.com! The term “L-birds” in the context of US military forces came from their official designation starting in April 1942 carrying the letter “L” for Liaison followed by the aircraft’s designation: L-1, L-2, L-3, L-4, L-5, etc. 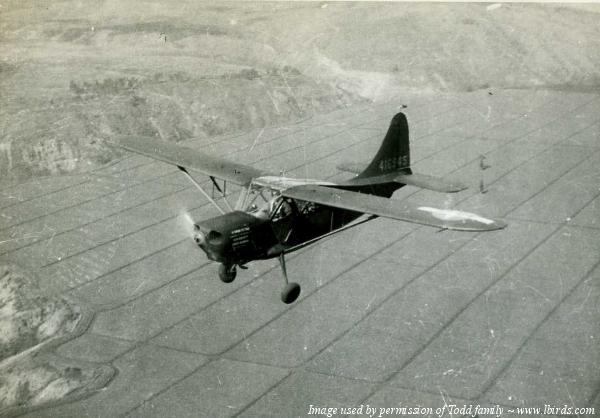 Previously, many of the same aircraft had carried the “O” for Observation designation, such as the Stinson O-49 / L-1 aircraft, the Piper O-59 / L-4, and the Taylorcraft O-57 / L-2. While this website understands that the L-designation refers specifically to aircraft operated by the United States armed forces, we are choosing to include a slightly broader-range of aircraft used before the war and also by other nations and including the early helicopters that served alongside and eventually nearly completely replaced aircraft in a number of missions. We are also focusing the majority of our efforts on liaison aircraft in WWII and Korea, with some highlights on other aircraft that served from approximately 1930 to the late 1970s when the Cessna L-19/O-1 Bird Dog served in the Liaison role. Like a gem, there are many interesting facets to the Liaison aircraft story, and we hope to clarify and polish a number of different angles as we build and expand the website. Check in frequently as we hope to provide regular blog posts and content updates. We’d love to know what your interest is in the Liaison story and we know that there are many families out there who’s loved ones’ served in Liaison Squadrons or had contact with these aircraft and we anticipate hearing from you with more great stories and photos! 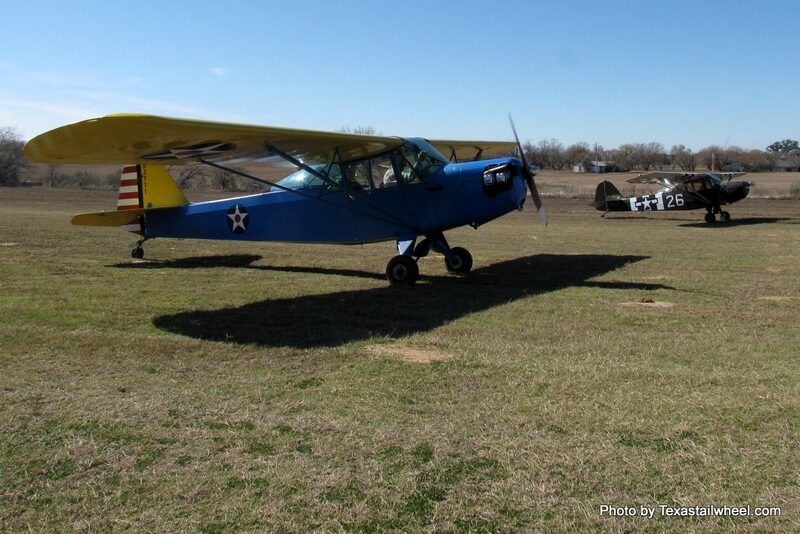 A pair of restored Taylorcraft L-2s taxi at Cannon Field near San Antonio, Texas.